CarsDirect.com -- America's favorite way to buy new cars and finance online! Promotional lease offer available for qualified buyers on approved credit. Please check with your CarsDirect Trusted Dealer for complete details. Qualification: Rates are dependent on customers Credit Tier rating. Includes 1 year All Access subscription. Includes active cruise control with stop and go, active lane keeping assistant with side collision avoidance, traffic jam assistant, evasion aid and front cross-traffic alert. No longer available for factory ordering as of July 31, 2018. Includes 12 speakers and Radio Data System (RDS). This option has been selected. This option's price is included in the price of another selected option. N/APricing for this option is currently not available. N/CThis option is available at no charge. STDThis option comes standard with the vehicle. VariableThis option's price will be determined after it has been selected. Option prices are for manufacturer-installed options and may vary for dealer-installed options. Please read our special note on incentives and rebates. Below is a complete list of BMW X3 specs. Get a complete understanding of this vehicle by individual style. Questions about a vehicle or how the CarsDirect process works? 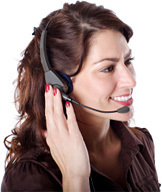 Our knowledgeable customer service team is available for you from 7AM-6PM Pacific Time, Monday through Friday. We look forward to helping you with your car-buying process. Vehicle Experts available to assist you. No obligation if you decide not to buy. We have been rated the #1 site for buying cars online. Experience how car buying should be with CarsDirect. CarsDirect.com strives to include all known manufacturer incentives within the CarsDirect.com price. CarsDirect.com does not administer these programs, which are subject to and often change without notice. Eligibility for these programs is subject to verification by CarsDirect.com and by our dealer partners. Please note that most discounted financing programs offered by the manufacturer cannot be combined with a customer or manufacturer to dealer rebate. In most cases, one or the other can be chosen, but not both. The incentive you chose is not compatible with other selected incentives. Please review the information below. Some options you've chosen require more options! You have selected options which are incompatible with your previous color selection. Please reselect a color. We have information you must know before you buy the X3.